The San Saturnino Basilica of Cagliari was built in the fifth century A. D. It is situated in the place where, according to tradition, St. Saturnino was beheaded in 304 AD. The early Christian Basilica is considered one of the most significant of the Mediterranean. It is surrounded by an archaeological park, where excavations have revealed several Roman and Byzantine tombs. 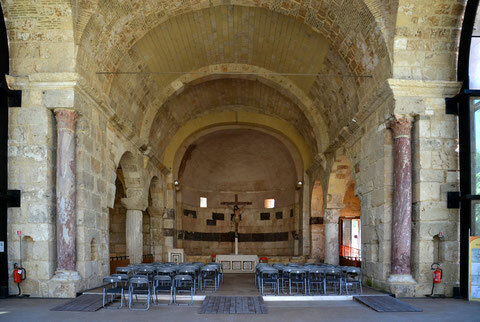 Originally following the Greec Cross plan todays San Saturnino consists of the dome covered area from the 5th to 6th century with the nave and two aisles withinin a Paleochristian necropolis. During the centuries the Church underwent many restorations. In the late seventeenth century the building was partly demolished to recover materials for the restoration of the Cagliari Cathedral. After substantial Allied air-raid damage during the Second World War, extensive renovations and partial rebuilding were necessary. The new Church was re-opened to the public not until 1996. 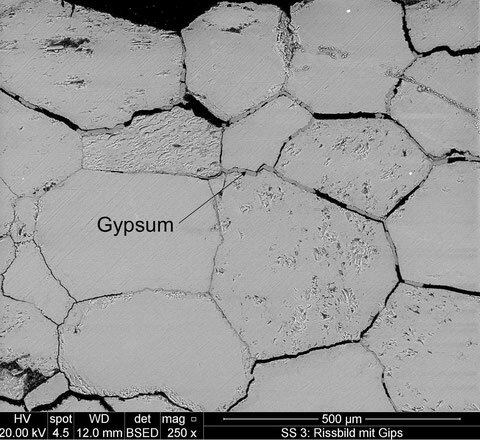 Especially the white marble in San Saturnino is affected by advanced deterioration due to “crystal sugar corrosion”. In the case of the columns the fluting is almost totally decayed and weathered. Also the white Carrara bases of the columns are heavily corroded.